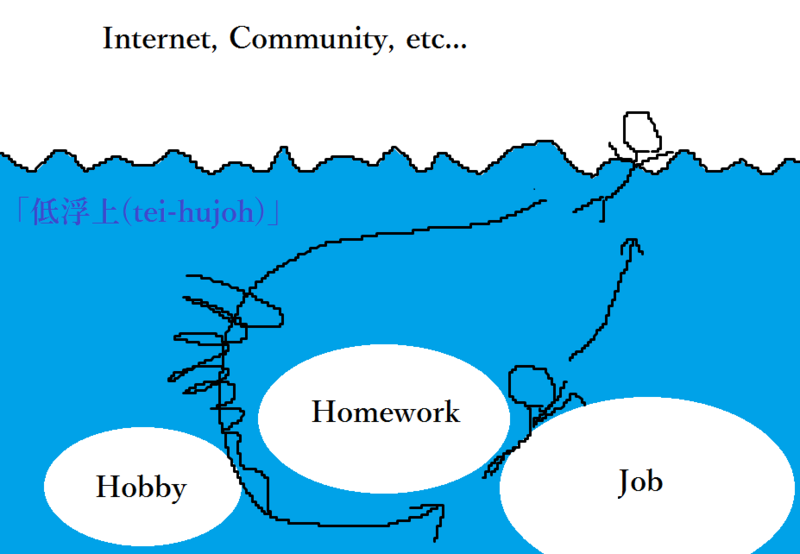 If you tweet for the first time in several weeks, your follower, who saw your tweet, may say "最近低浮上だね(saikin tei-hujoh dane)。"
This line literally means, "Recently you've rarely come to the surface (低浮上 itself literally means to come rarely to the surface)," but he/she hadn't seen you actually emerge from underwater. As you guess (I think you already do), he/she talked about your low frequency of dropping by the internet, Twitter, etc. Recently you've been offline . I'll be away from Twitter most of the time because I have many things to do.